Twinblast is a physical damage carry hero. Balanced skill set- little mobility that can get him out of sticky situations, better positioning, or give chase, Small AoE damage with a slow, and attack speed boost. His ultimate skill is great during one on one fights and can turn the tide of many skirmishes really quickly. Twinblast has increased Attack Speed. Twinblasts basic attack from his dual pistols. Twinblast dashes in the direction he is moving. 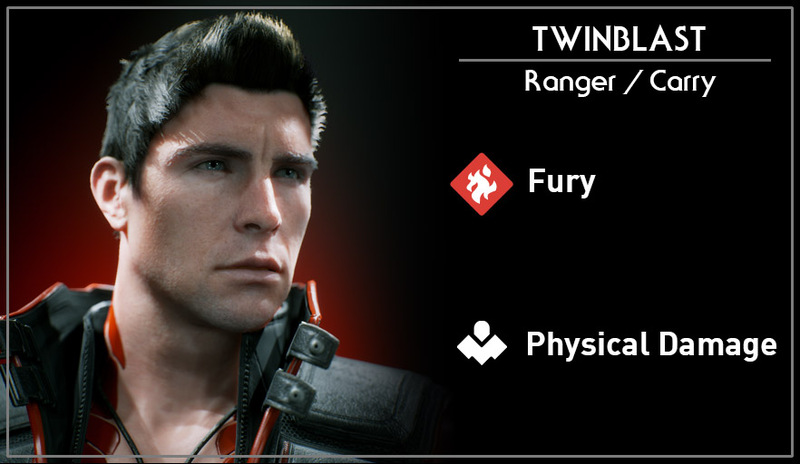 Twinblast further increases his attack speed for 5 seconds. E / Circle - Grenade! Twinblast launches a grenade at a target location, dealing damage and slowing enemies hit by the explosion. 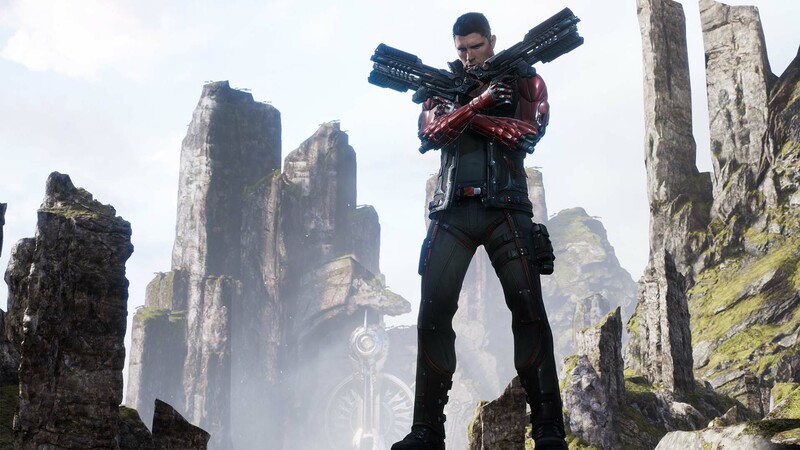 Twinblast transforms his arms into cannons firing rockets. The shots pierce minions.